(NaturalNews) The battle against genetically modified organisms being secretly engineered into our foods now has only one possible outcome: Victory for the People... and defeat of the corporate quack scientists and the outrageously dishonest and sinister biotech industry that has shoved GMO down our throats for a decade or more. In terms of victory, I'm not just talking about Proposition 37, although that could very well be a turning point that accelerates the consumer victory. But even if Proposition 37 doesn't pass, the end of the line for hidden GMOs in our food is fast approaching. The word is out. People are getting informed. There's absolutely no going back to the era of "GMO ignorance," and the truth about GMOs causing cancer, infertility, organ damage and other deadly health problems is circulating everywhere. Even Whole Foods is now teaching its own employees more details about GMO so that they can better answer customer's questions about GMO. GMO labeling laws are in the planning stages in several states across the country, and Rep. Dennis Kucinich has already introduced a national GMO labeling law called the Genetically Engineered Food Safety Act, or H.R. 6635. Monsanto is on the run from activists. 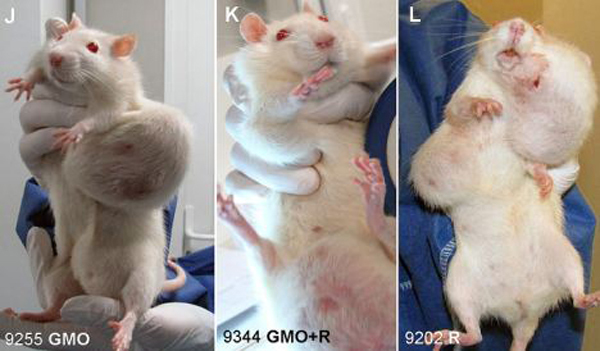 Honest doctors and scientists everywhere are waking up and speaking out against GMO. Food retailers like Green PolkaDot Box have already abandoned GMO and they now run an online store that's virtually free of all genetically modified products. And what's really fascinating is that both organics-loving progressives and liberty-loving conservatives are loudly speaking out against GMOs for all the same reasons! Think about it: What other issue has the widespread support of churches, environmentalists, health experts, food gurus, farmers and natural health consumers? Only the issue of GMO. Our victory against the scourge of GMO is now inevitable. We have passed the tipping point of consumer awareness that Jeffrey Smith has long been advocating. The "No on 37" campaign can only resort to lies now. They can't debate the facts on GMO. Their dishonest advertisements in California dare not even mention the term "genetic engineering!" They have desperately and pathetically turned to a campaign of obfuscation and confusion because they simply have no defense against a commonsense GMO labeling law. GMOs should be labeled just like fats, sugars, proteins, calories and ingredients. It's basic common sense... and everybody knows it. GMOs are an industry based entirely on ignorance. GMOs are the only product whose retail success is based entirely on the fact that consumers had no idea they were buying them. GMOs are the only products that people ACCIDENTALLY purchase! • Nobody actively goes to the grocery store and seeks out foods with GMOs in them. • No food company declares "Now, made with GMO!" on the label of any product they make. • No grocery store advertises, "We sell GMO in our store!" GMOs are only purchased accidentally by consumers. Nobody buys them on purpose. They buy them out of ignorance. And when that ignorance is transformed into knowledge, nobody wants to eat GMO! Oh, and by the way, the top ten companies funneling money into the campaign to defeat Proposition 37, the GMO labeling law, are all pesticide manufacturers! Click here to see the list for yourself. Because GMOs only succeed through consumer ignorance, education is the most effective solution to stopping GMO. Once people become aware of the truth about genetically engineered ingredients, the scam is over. The deception comes to an abrupt end. The era of eating poison in your breakfast cereal collapses. That's why the single most important thing you can do right now to help defeat Monsanto and the GMO / biotech industry is spread the word about GMO. Tell everyone you know! And keep reminding them until they truly get it. GMOs are poison! That's why they kill rats and cause horrifying cancer tumors, infertility, organ damage and premature death. Those are scientific statements, not merely opinions or emotional reactions. This is really happening. There really is poison in the food. • Visit the GMO article page on Natural News. This page is updated each time we publish a new article on GMO. • Join in the national phone bank to call CA registered voters and help educate them about GMOs and Proposition 37. • Share popular GMO videos such as A Rat's Tale, What Is A GMO?, or even my recent children's song and music video, Just Label It -- a great song for kids, they love singing it! • Make a donation to the YES on 37 campaign in California. • Read up on GMOs at the Institute for Responsible Technology, GM Watch or the Organic Consumers Association. • Watch the highly informative Genetic Roulette Movie produced by Jeffrey Smith. • Most importantly, stop buying GMOs! This means stop buying all non-organic groceries containing corn, soy, canola or cottonseed oil. Look for USDA Organic, because organic foods are not allowed to be made with GMO. Share this article, too, because this message of ultimate victory needs to be heard across the industry. We need to stay on this issue and see it through, friends. We can win this!